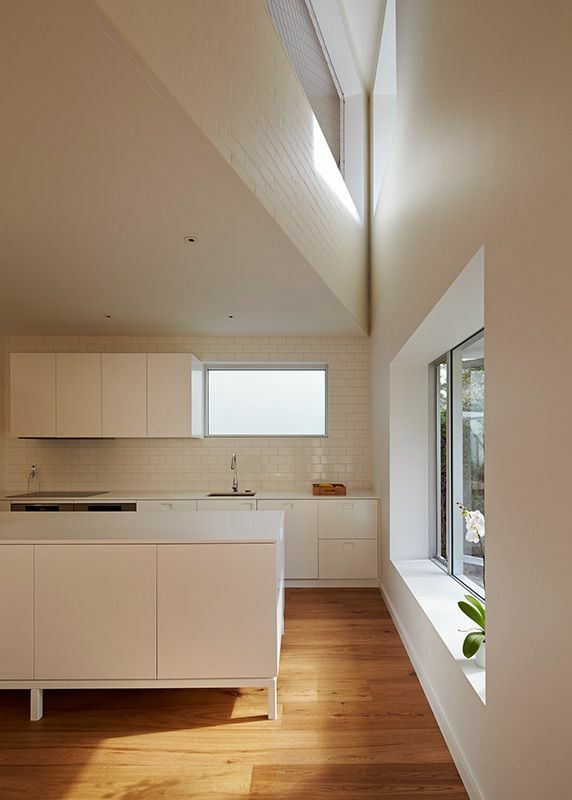 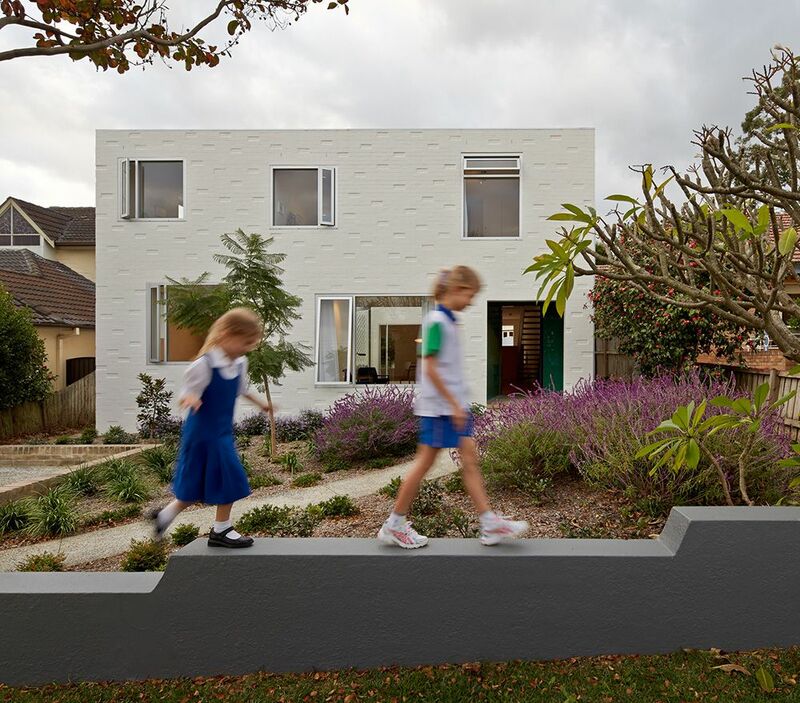 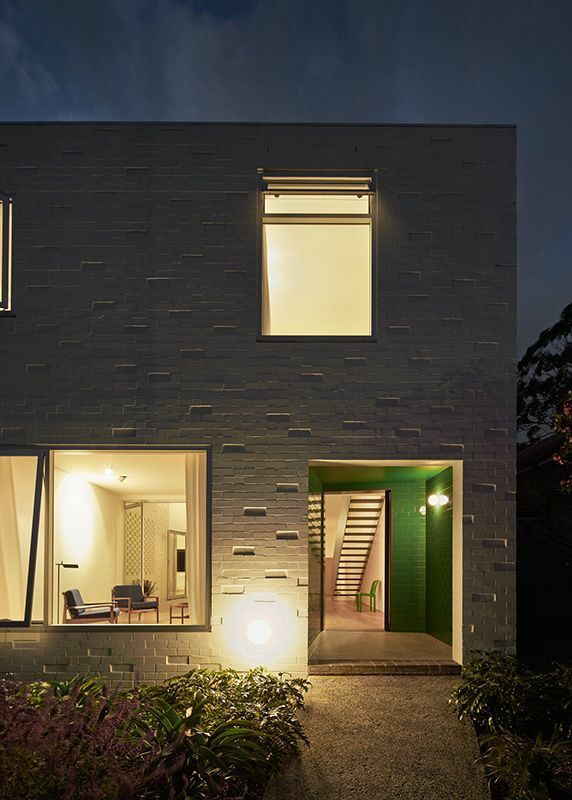 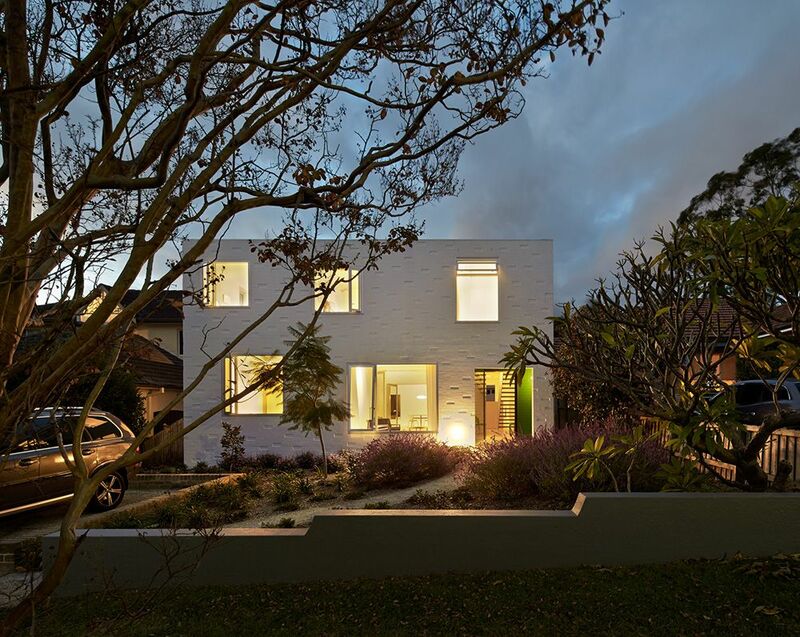 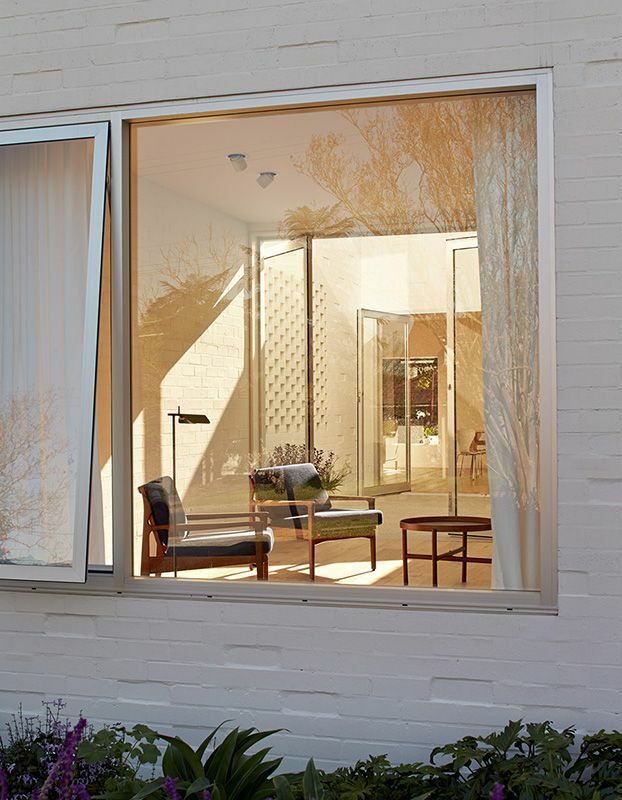 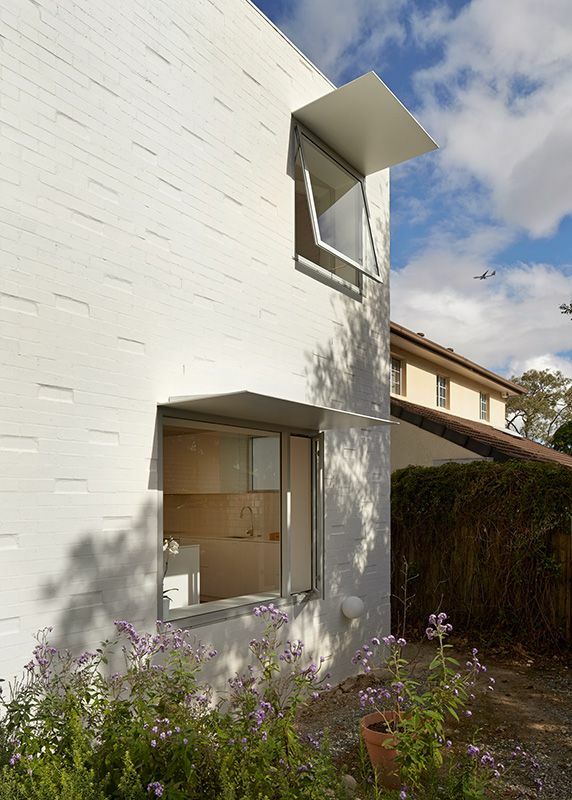 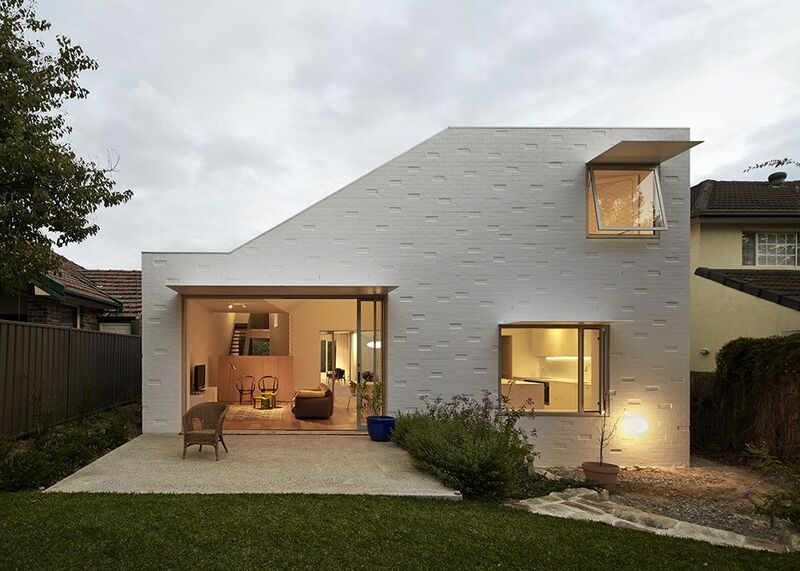 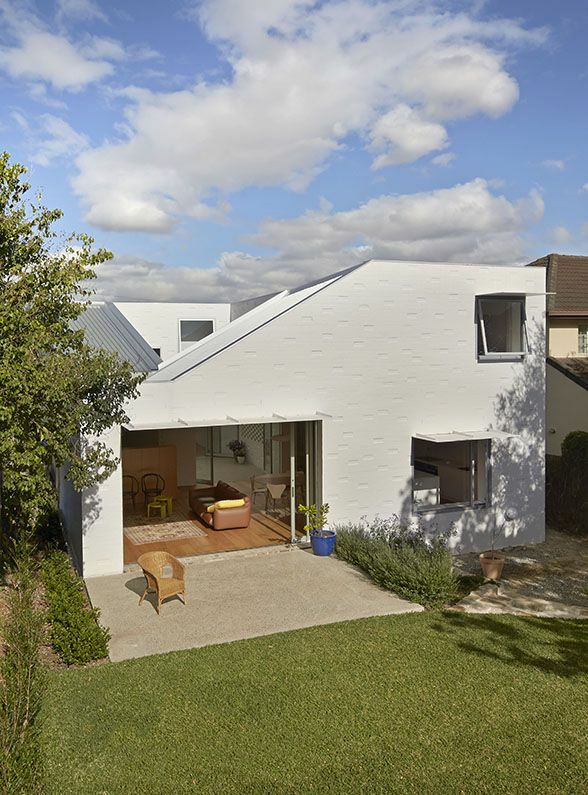 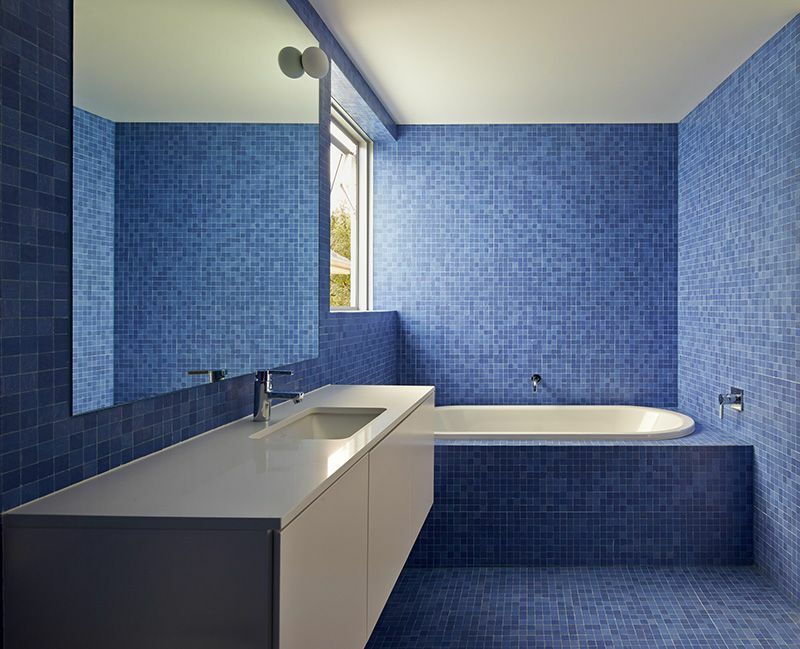 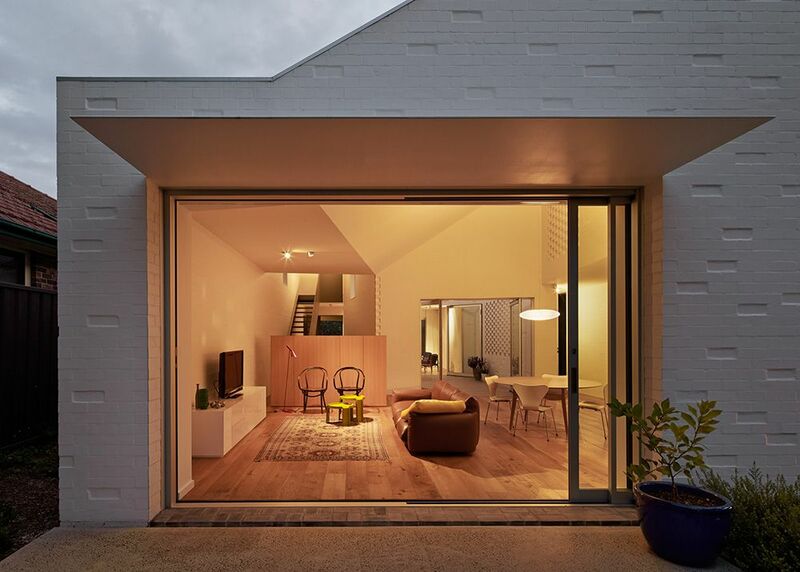 A new courtyard house for a young family on a modest suburban block in Sydney. 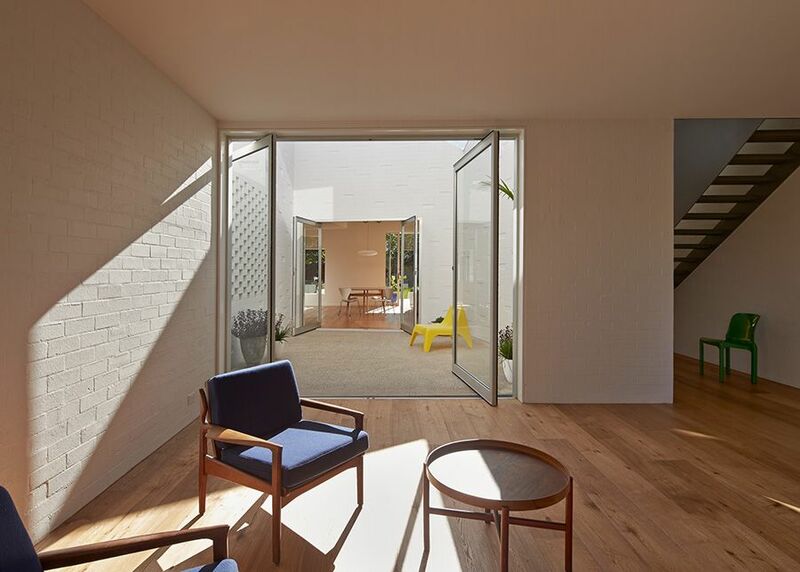 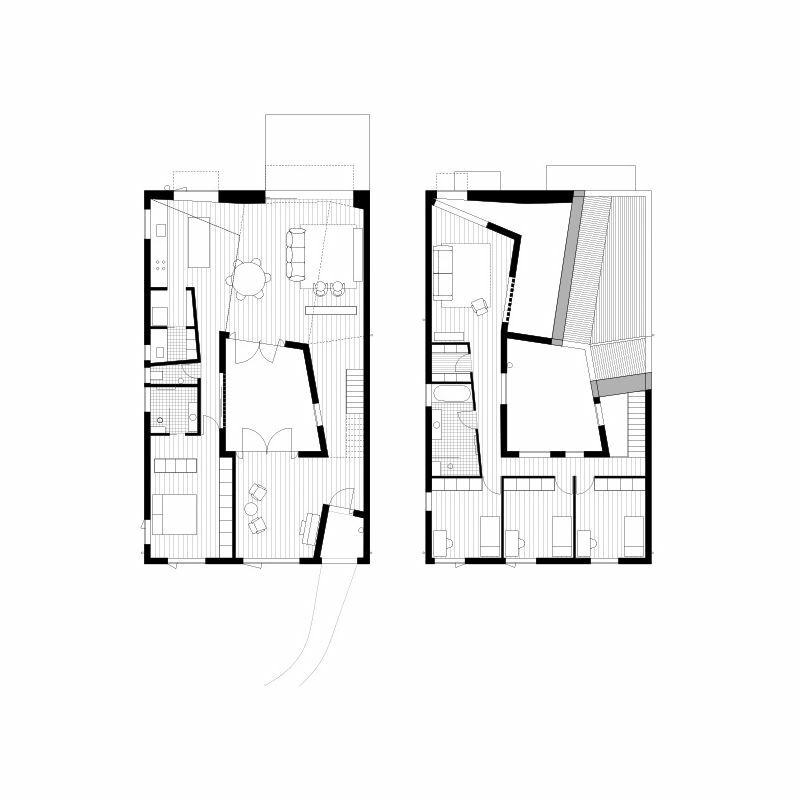 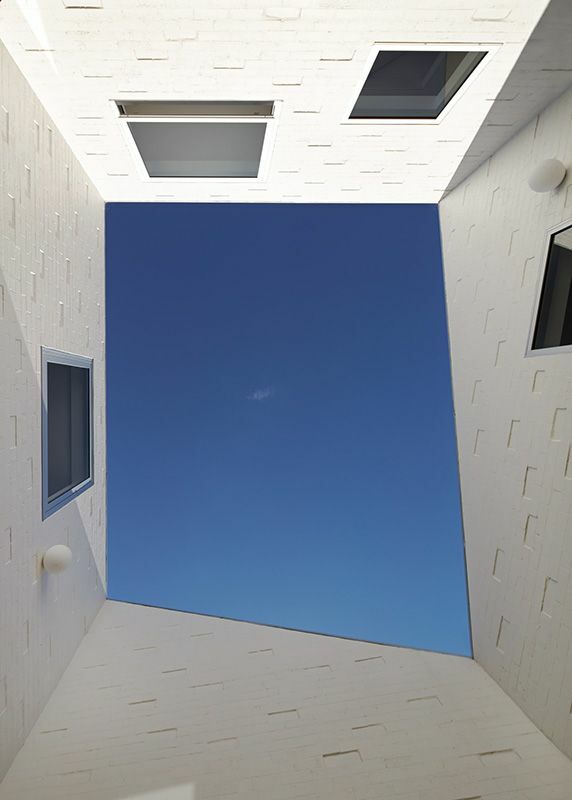 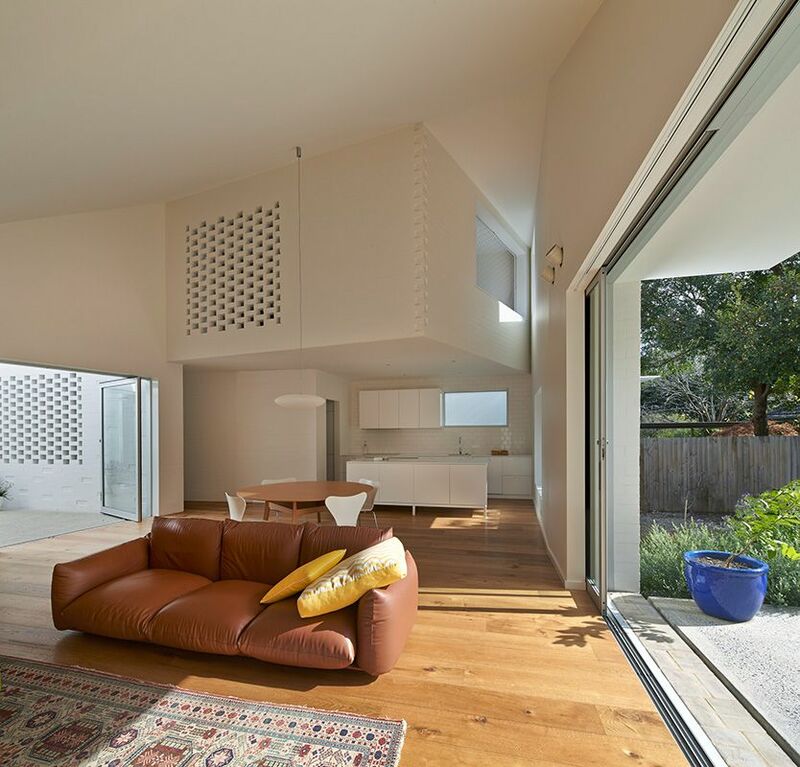 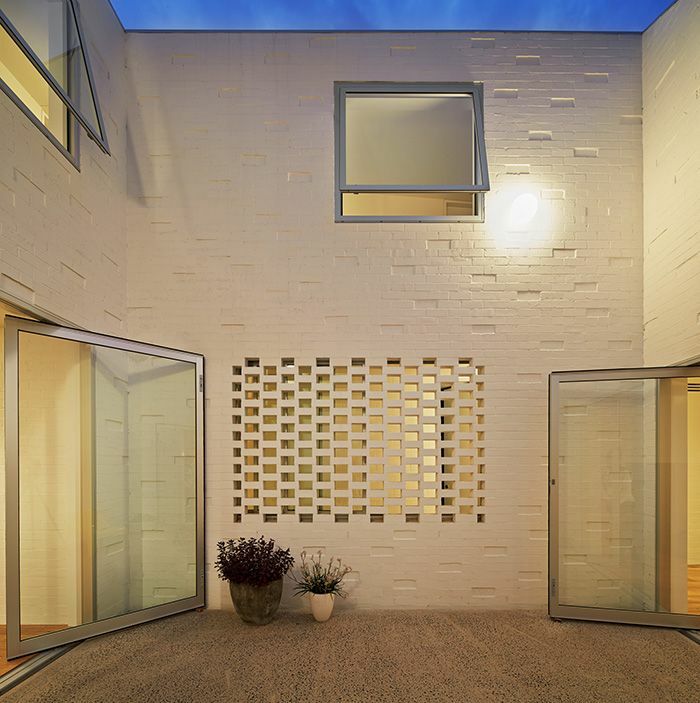 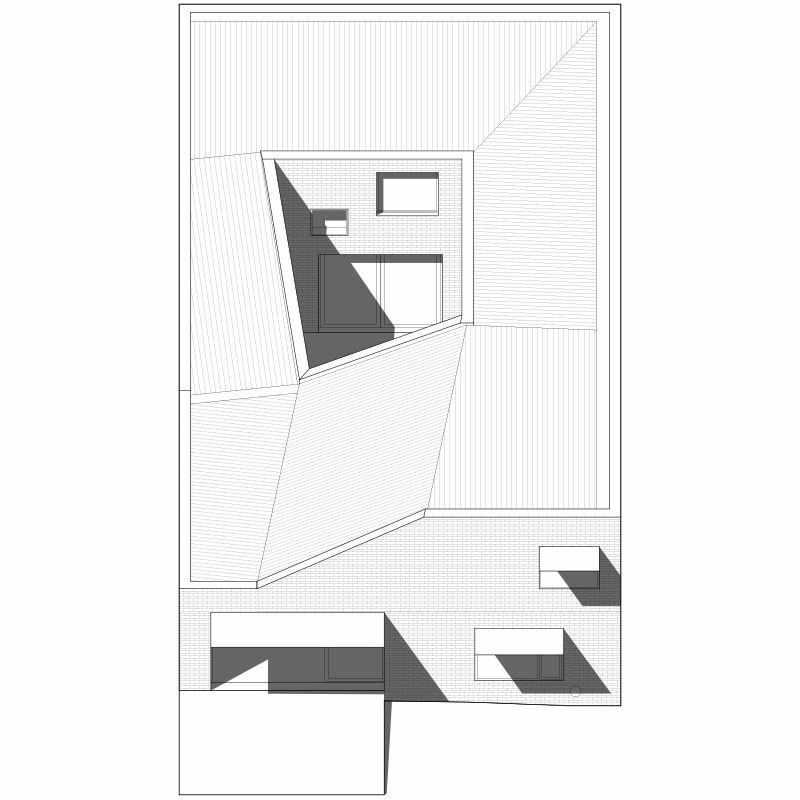 The courtyard creates visual connections between the street, the living areas and the back garden.The roof is deformed at the northeast corner allowing sunlight deep into the courtyard and the house. 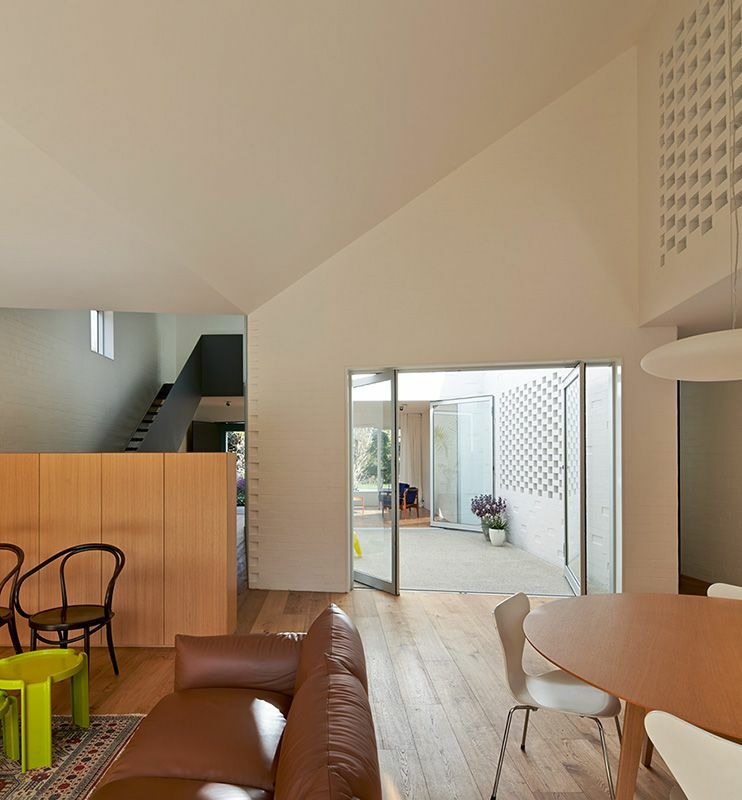 The playroom is suspended over the dining room and kitchen providing an independent children’s area within the main living spaces. 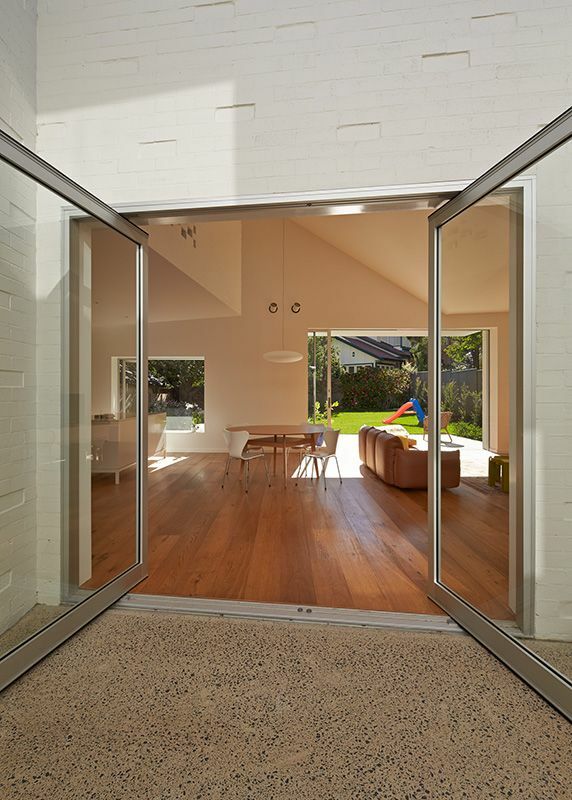 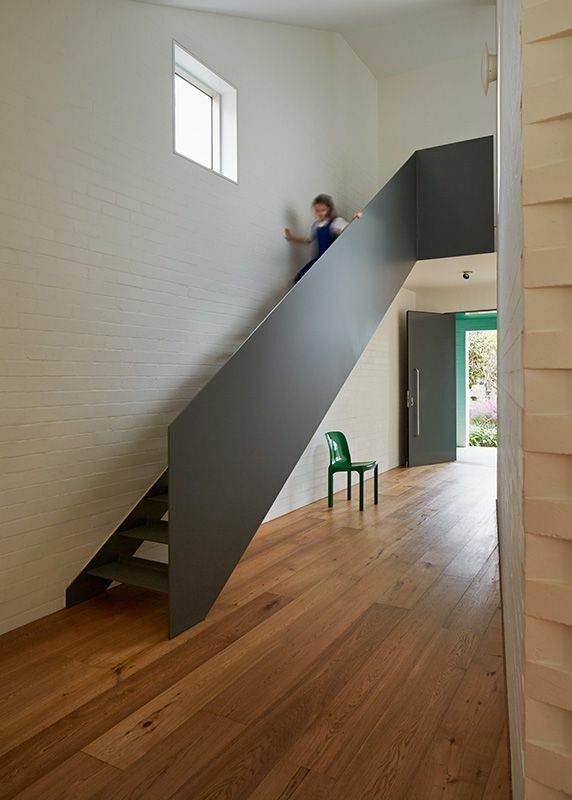 An envelope of painted brick is offset by timber floors, a steel stair and external steel sun shades.